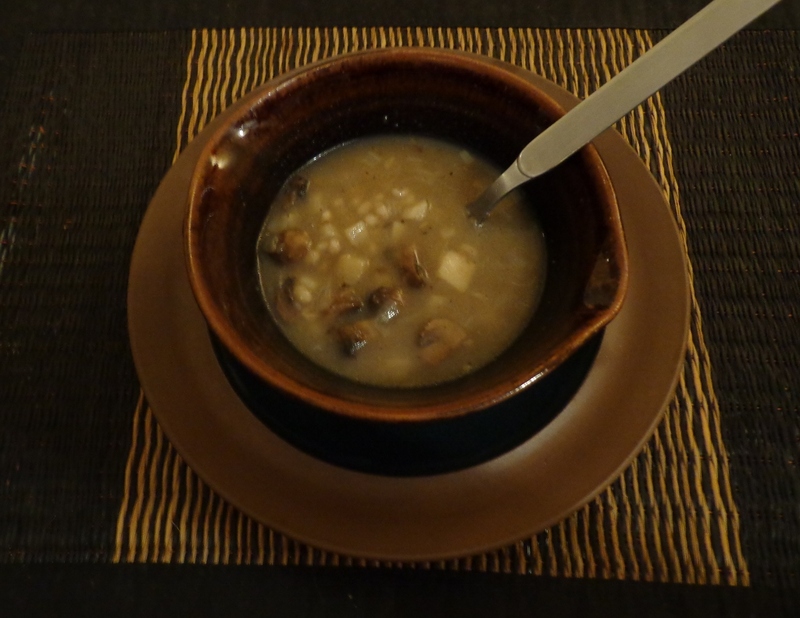 Home » Play » Food » Mmmmm….. mushroom soup! It’s been awhile since I shared a recipe. So when I picked up a lovely bunch of mushrooms, it was clearly time to make soup! A biggish bunch of fresh mushroom, brushed and cut in chunks – a variety of mushrooms works well too! It is just that simple! 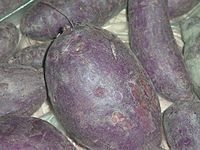 I also added for a bit more substance, small chunks of sweet potato – the variety with a dark purple exterior and white inside – haven’t seen this anywhere other than India however rumour has it can be found in other parts of Asia. Most important? Just enjoy with a multi grain toast or anything else that your palate fancies! Winter is coming… So make soup! By Carissa Hickling in Food on March 8, 2014 . Where are you off to??? KL? that jetsetting life of yours…! However I’m splurging on accommodations this trip. Going uber classy with Marriott Service Apartments… approx. 20 mins walking from the office… I can’t wait! I’ve never known anything but cattle class. Can you fit me into that apartment??? That looks good! It’s still cold around here, so soup is very much in my mind. How do you like Jakarta traffic? 🙂 Thankfully, you can eat Nasi Padang every day if you like. Does anyone actually LIKE traffic?? As for how the traffic is these days… am still en route… just logging in from Singapore airport and will be back in Indo in a couple hours! Yipee!! Although I couldn’t find where to comment on the SIM card post (because that time limit has already elapsed? ), interesting to see Tata appear in your photo. They have a stranglehold on much of Indian commerce, no? Also, yep, if you buy an Indonesian SIM on the street, it’s very easy. At an Indosat/similar “official” office, you need a passport. Quite right – easy to get SIMs outside of India. I’m hoping I can just land and top up my old Telkomsel SIM. Also looking into picking up one of those portable Wi-Fi gadgets so can use that for data on both my laptop & phone as apparently internet in the Serviced Apt is quite pricey. Fingers crossed I shall be comfortably in the land of the connected in Jakarta soon!